Léo Bureau-Blouin, former student leader and current Member of the National Assembly for the Parti Québécois, has come under fire following the provincial government’s announcement of an increase tuition by three per cent in line with the cost of living next year. Bureau-Blouin, who first came to prominence as the president of the Fédération étudiante collégiale du Québec during the student protests last year, has stood by the decision of his party to index tuition by roughly $70 a year, a stance that has not pleased his former colleagues. Martine Desjardins, president for the Fédération étudiante universitaire du Québec, told The Concordian that she was disappointed when Bureau-Blouin chose to support the indexation proposal, but that she was not surprised. “Personally, when he decided to go up front and support the inflation proposed by the government, it was a shock,” said Desjardins. “But at the same time it’s easy to understand why because he’s like, you know, a deputy and he needs to follow the line of the party,” she said. Desjardins explained that students felt deceived when Bureau-Blouin went against his initial position for a tuition freeze, something he advocated for as a student. “There’s no surprise but there’s a lot of deception,” said Desjardins. Following the announcement of the increase, Bureau-Blouin’s Facebook page became a place for students and protesters to vent their frustrations over his decision to support the indexation. One poster called Bureau-Blouin a traitor and demanded he resign, while another accused him of letting down a generation of students. Conversely, others voiced their support for Bureau-Blouin and congratulated him for his work. The day after the education summit, Bureau-Blouin wrote that he had received threats and attacks but would still attend a monthly event to meet with his constituents on March 16. On Facebook, Bureau-Blouin defended the increase by stating that by the 2015-2016 academic year students would be receiving an average of $1,140 in additional bursaries. However, Desjardins called into question the suggestion that additional money for financial aid programs would help offset the increase claiming that not all students are eligible for bursaries. On the Facebook page for the monthly meeting, critics promised to attend in order to face Bureau-Blouin and demand answers. 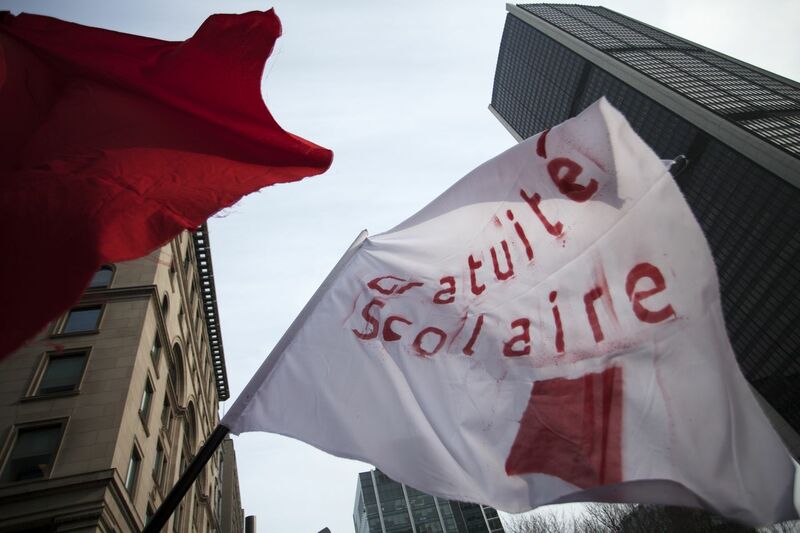 Spokesperson Camille Robert for the Association pour une solidarité syndicale étudiantes, the student group in favour of free tuition, asked if he would be using his salary to help cover the cost of the indexation. Simon-Pierre Lauzon, VP external for the Concordia Student Union, said he was not surprised that Bureau-Blouin’s interests had shifted from those of a student to those of a politician. He hoped, however, that the former student leader would push for student’s interests from within the PQ. “He cares about his position within his new political context, and at the same time we should stop looking up to him as a peer,” Lauzon said. “He no longer is a FECQ representative, and we should treat him as such,” he said. Lauzon believes students are now divided between those who see indexation as a realistic compromise and those who are in the streets again because they reject any increase.